Or you can use PowerShell to do that! If you know how often things change in Azure, I would believe that this page is outdated in terms of information, but unfortunately, the page also directs you to an old Microsoft Azure Active Directory Module for Windows PowerShell where the cmdlets like Remove-MSOLDevice are missing. I gave feedback to Microsoft through the Webpage, hopefully they will update this page, and I think that other languages can be affected as well. If you follow this process as you describe below, what happens with the user ‘profile’? 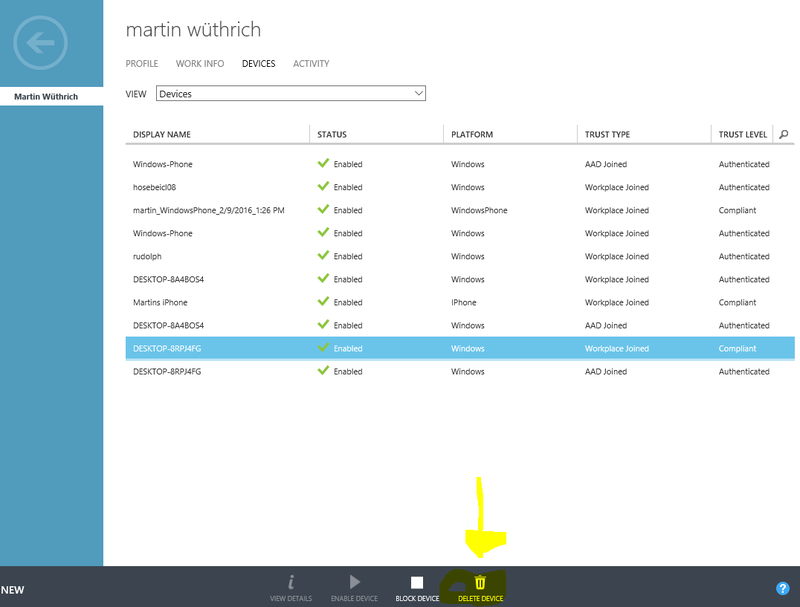 Will this AAD user profile removed after delete the device or when I would rejoin the same client, the end user would receive the same profile? Do you have some experience for this kind of scenario? I never have done that, sorry.